Most metal parts will need additional finishing after production, to remove imperfections left behind by casting, laser sintering, EDM, or conventional machining. For simple shapes, there may be many finishing options available. Unfortunately, traditional methods may not be equal to your needs on a more complex job. For example, manual polishing is extremely tedious and costly work, and isn’t effective on extremely convoluted passages. Abrasive Flow Machining in Orange CA. Polishing: Even the most complex shapes of metal parts and the most convoluted of internal passages can be smoothed evenly with abrasive flow machining in Orange CA. Our process is sensitive enough for even the most delicate honing, enhancing the finish without exceeding the blueprint specs. Extrude Hone AFM is a 40-year industry veteran. 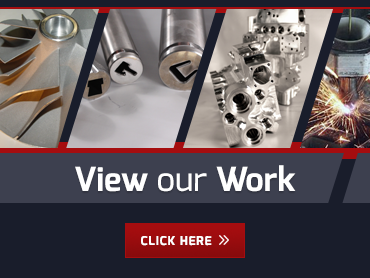 We know abrasive flow machining in Orange CA and we are confident we can deliver the high quality improvements you need. Call us at (562) 531-2976 or contact us online to get a quote or to learn more about partnering with us.